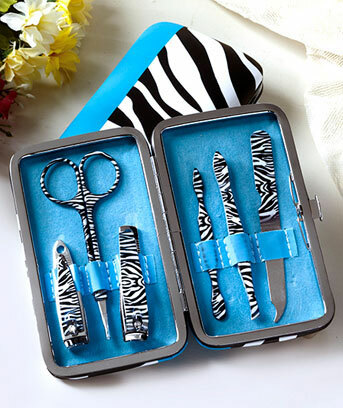 Carry manicure tools wherever you go with this Zebra Manicure Gift Set. It contains the 6 essential tools you need for a quick repair job, or even a complete manicure. The stylish PVC case fits in most purses and opens with push-button ease. Tools, metal. Carry your manicure tools with fashionable flair!